High pressure pumps are machines which enhance the pressure of fluid. They might be employed with gases or liquids, but the manufacturing and design detailing are likely to vary depending on the type of fluid. High pressure pumps exert excess pressure on the fluid or gas as compared to a normal pump and is basically deployed in industries requiring advanced pressure pumps and at places where heave load work is on the go. These high pressure pumps may be driven hydraulics, electric motor, manually via a lever system or through high or low pressure air. Investments by high pressure pump manufacturers in industries other than that of the oil and gas sector in the Middle East and the progress of the South Asian Manufacturing Sector are likely to aid the growth of the global high pressure pumps market. There are several opportunities that the players operating in the market can gain from the sequestration and carbon capture and the industry of wastewater treatment. The challenges that are likely to occur in the track of growth of the global high pressure pumps market are the difficulties from the enhancing gray market, slowing pace of the oil and gas industry, and slowing growth of the major Chinese industries. The employment of high pressure pumps in the treatment of water and wastewater for processing palatable water are also expected to give the market the much needed boost. Experts see good place for high pressure pumps in the global market and predict strong growth between 2017 and 2025. Among the key regional segments, Asia Pacific holds lucrative opportunities for ongoing business in the forthcoming years. With leading pump manufacturers looking to reduce energy consumption in their pumping systems, the demand for high pressure pumps is expected to rise at an accelerated pace in the near future. The report includes a comprehensive overview of the global high pressure pumps market. It covers the growth drivers and restraints impacting the market’s trajectory, its development over the years, impact of government policies, and the investment feasibility for new players, besides other exhaustive information. Information thus compiled is presented in a coherent chapter-wise format, interspersed with relevant statistics, graphs, infographs, and tables. As per reports pumps consumer over 22% of the global energy consumption. However, with intelligent pump systems, advance materials, and efficient fluid technologies it is possible to reduce energy consumption and reduce cost incurred on the operation too. This has been made possible through innovations and investments in research and development by the leading market players. As they focus on manufacturing advanced pumping systems with lesser energy consumption, the market for high pressure pumps is expected to grow in response. Furthermore, the global high pressure pumps market is also gaining from the implementation of stringent government regulations aimed at curbing emission. 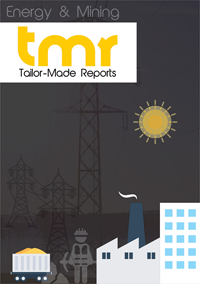 The market will therefore report strong gains, driven by the increasing output and rising application in power generation, chemical and pharmaceuticals, and oil and gas industries. Regionally, Asia Pacific is poised to emerge as the leading market for high pressure pump in the world. In addition, the market players will also witness substantial opportunities across the Americas, Europe, and the Middle East and Africa. Besides the high economic growth exhibited by leading economies across Asia Pacific, the high pressure pumps market will also gain from the spike in manufacturing and development activities in India and China. With regard to segments based on type, dynamic high pressure pumps are likely to constitute the highest grossing segment between 2017 and 2021. The dominance of the segment is ascribable to their use in removing paint from metal structures, tube dechoking, cleaning heat exchanges, and application in the oil and gas sector. Furthermore, high pressure pumps are also used in water and wastewater treatment, for processing drinking water, and in machine tool lubrication. Such diverse application will help the dynamic high pressure pumps segment attain dominance and retain the same through the course of the report’s forecast period. To study the market’s vendor landscape, and how the trajectory of most major players would be during the forecast period, the report presents profiles of some of the leading companies. Strategies adopted by companies such as Grundfos (Denmark), Andritz (Austria), Sulzer Ltd. (Switzerland), GEA Group (Germany), and The Weir Group Plc. (U.K.) are evaluated. Experts observed that a majority of established brands in the high pressure pumps market are focusing on penetrating into the emerging economies. The focus on expanding their geographic footprint could be an outcome of the stagnating opportunities in developed regions as compared to their emerging counterparts. Besides this, SWOT analysis is conducted on the companies profiled to help readers identify strengths and weaknesses of these enterprises, The analysis is also intended to provide clear insight into the opportunities and threats that these companies may witness during the course of the forecast period.